For a region so well-known as wine country, Napa Valley has more than its fair share of breweries, saloons and restaurants serving up noteworthy beer selections. 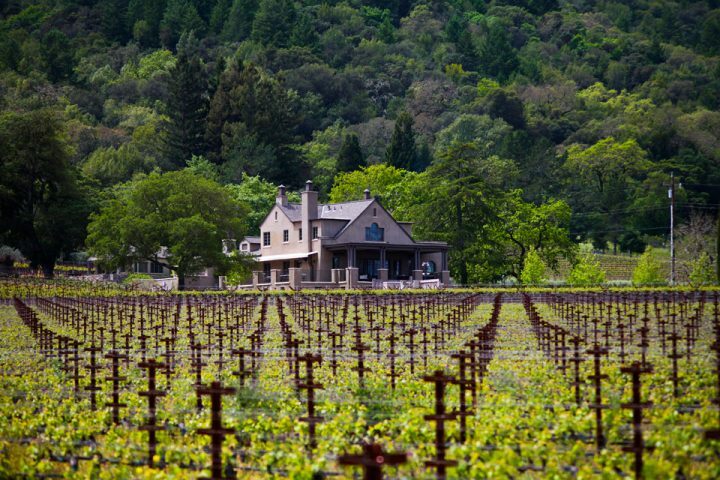 The concierge team at Archer Hotel Napa put their heads together to develop this fun list for locals and visitors to Napa who have a thirst for suds and brews. Already well-known among beer fans, Mad Fritz in St. Helena makes beer and welcomes visits by appointment. Brewmaster Nile Zacherle is from a prominent wine family in Napa, but this brewery is his passion project. His partner and wife, Whitney Fisher, brings a wealth of winery knowledge to the beer-making table, and the name “Mad Fritz” is a mix of their two children’s names, Maddie and Fritz. 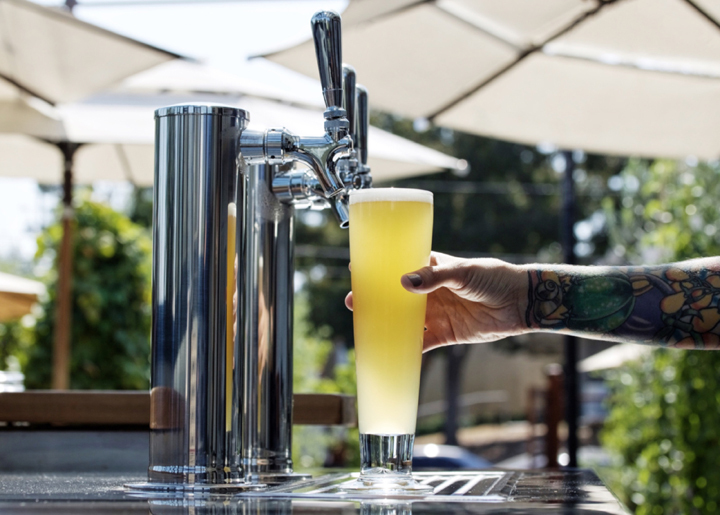 They use Napa Valley-sourced waters that come from local reservoirs, artesian springs and aquifers, and locally grown hops and barleys are farmed using organic and biodynamic principles. The result? Ales and lagers that are distinctive, complex, diversified and delicious on a variety of levels. With prime real estate inside downtown Napa’s Oxbow Public Market, the taproom at Fieldwork Brewing pours from a revolving list of fresh releases. Whether by the glass, as a flight or in on-the-go growlers and Crowler® cans, its brew tastes as good as each beer’s name sounds — think Between Two Pines, Burning Daylight, Chocolate Thunder God, Fog Ripper, Garden of Weeden, Ill-Gotten Grains, the awesome moniker list goes on. Founded in Berkeley, the craft brewery regularly produces Special Release cans available at its six taprooms throughout Northern Cali — including Napa. There’s no messing around with a gastropub-meets-sports-bar-meets-old-west-saloon that quotes “Be here, drink beer” on its website. 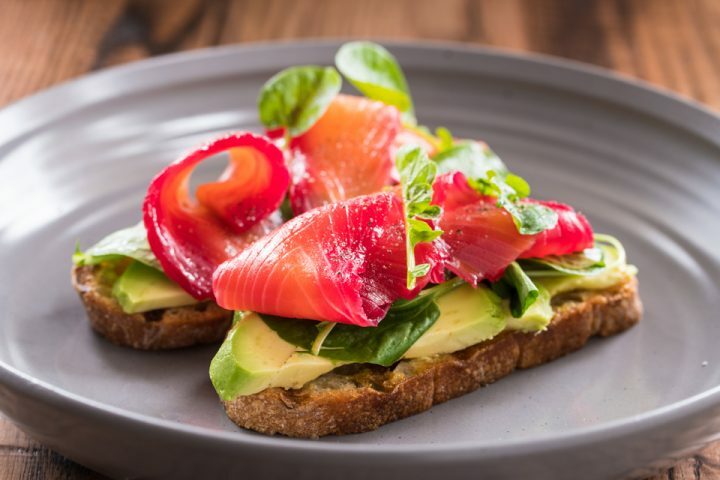 Napa Palisades Saloon’s relaxed, rustic environment welcomes downtown Napa guests with a hankering for amazing beer by the tap and American comfort food with a gourmet twist. Sure, there’s a full bar and a whiskey bar; there’s also more than 30 house and local craft beers, plus happy hour 3 – 6 PM each weekday. Patio dining? Check. Big-screen TVs? For sure. Homemade beef jerky, weekend brunch and great hospitality? You’re in the right place. An urban winery, nano-brewery and culinary garden in downtown Napa, St. Clair Brown offers a rotating selection of three beers on tap (Pilsner, Kölsch-style Ale, Honey Wheat Ale, Farmhouse Saison, Brown Ale, Black IPA and more) in a charming Greenhouse Tasting Room. Owner Elaine St. Clair has used her degree in Fermentation Science to make award-winning beers and wines for decades. The nano-brewery brews 60 gallons at a time, and each beer is hand-bottled in resealable Champagne bottles. In addition to the tasting room, a lovely outside seating area welcomes guests. Tasty bites are available to accompany the brews and the service is consistently stellar — no wonder this brewery is often described as a hidden gem. This new-to-Napa restaurant and bar pairs a casually elegant steak house with an upscale sports lounge. And what a sports lounge it is: maple basketball court flooring, bar menus made out of basketball leather, a huge scoreboard above the island bar and plenty of 55-inch HDTVs with just about every sports package available. The dining room is more subdued, with nary a TV in sight — more appropriate for romantic date nights and non-sports-themed gatherings, but with on-point menu options and excellent service. What about the beer? 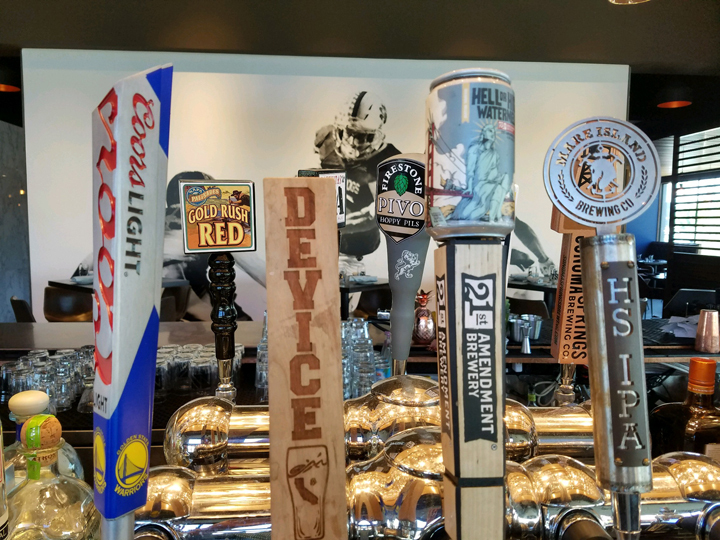 A rotating list of nine beers on tap includes a house brew — try it at the long copper bar or at a comfortable table. NapaSport can host large-party events, is kid-friendly and takes both reservations and walk-ins. A new and welcome addition to downtown Napa is Stone Brewing in the renovated Borreo Building. 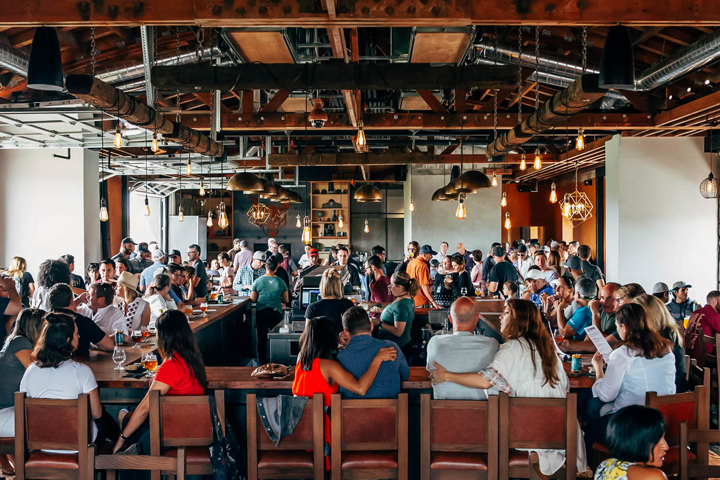 Pouring bold craft beer and offering a selective eclectic menu, the brewery has two stories with indoor and outdoor seating. Year-round releases include a variety of ho-forward ales — Stone Ripper, Stone Scorpion Bowl IPA and Stone Ruination Double IPA 2.0, to name a few. Special-release brews run the gamut: Berliner Weisse, Witbier, Pilsner, Blonde Ale, Session IPA, Stout, Single-hop IPA, Saison and others. 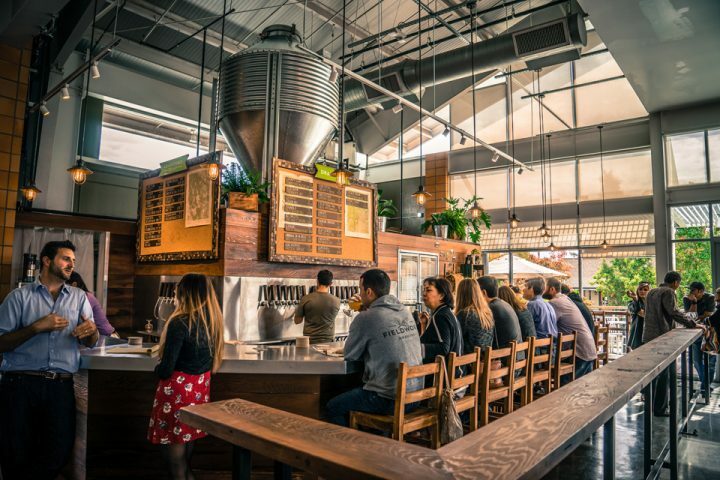 The Napa location joins several California outposts, a brewing facility in Richmond, Virginia, and World Bistro & Gardens in Escondito and San Diego, California, and Berlin, Germany. 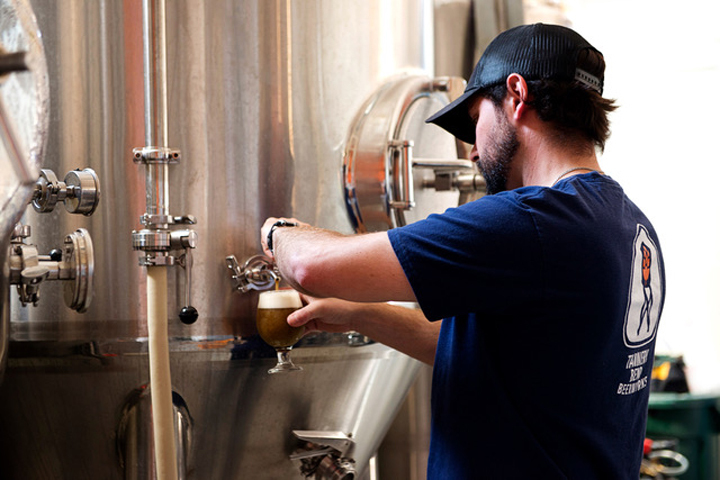 Inspired by local ingredients and a Napa Valley culinary mindset, Tanner Bend Beerworks creates small-batch beers available on tap. Try a Coombs Saison, Big Ranch Begian Citrus Blonde, Yajome Northestern IPA, Bruck Marzen Festbier, Glenbrook Sour Bourbon Barrel Aged Stout With Plums and Figs or a Capps Belgian Dubbel With Candy Cap Mushrooms (yes, you read that right — mushrooms). Your nose and palate will thank you. The friendly atmosphere makes it a local favorite. Trivia Night is 6 – 8 PM every Tuesday; bring a team of 2 – 4 “friends, family or whoever is the smartest in your circle” and enjoy a few brews while upping the competitive ante. Touring around different wineries and breweries can be an adventure, for sure. Another option? Kicking back atop Archer Hotel Napa at its urban oasis, Sky & Vine Rooftop Bar. Absolutely, you can choose from approachable wines and yummy craft cocktails; Archer also serves up select draft beers (including Tannery Bend Saison) and bottled beers (among them, Palisades Lil Loco IPA and Anderson Valley Oatmeal Stout). 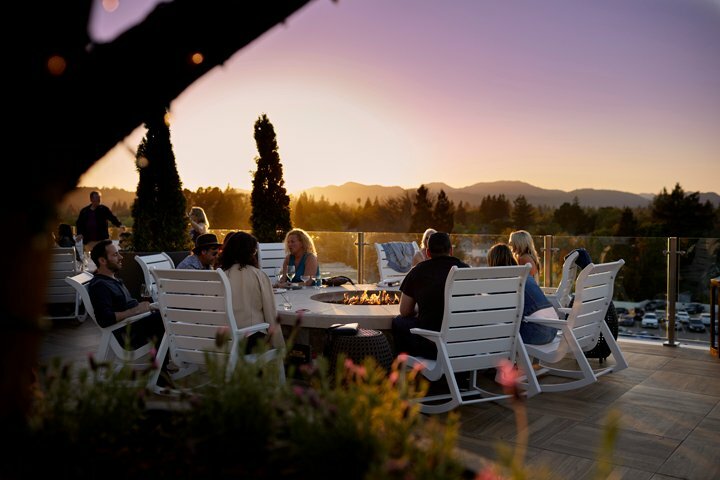 While enjoying the frosty beer, you can appreciate the Napa Valley views from the highest point in Napa: The urban cityscape with wine country beyond is something to behold. Take it all in from comfortable lounge seating and modern rockers set among potted olive trees, fire pits and festoon lighting. Satisfy your hunger with a meal at Charlie Palmer Steak (on Archer’s main floor) or via tasty snacks during Sky & Vine’s Reverse Happy Hour (Sunday – Thursday 9 PM – close). Lobster Corn Dogs with a Warsteiner Dunkel? Blistered Shishito Peppers and a Son’s Pilsner? Yes and yes. 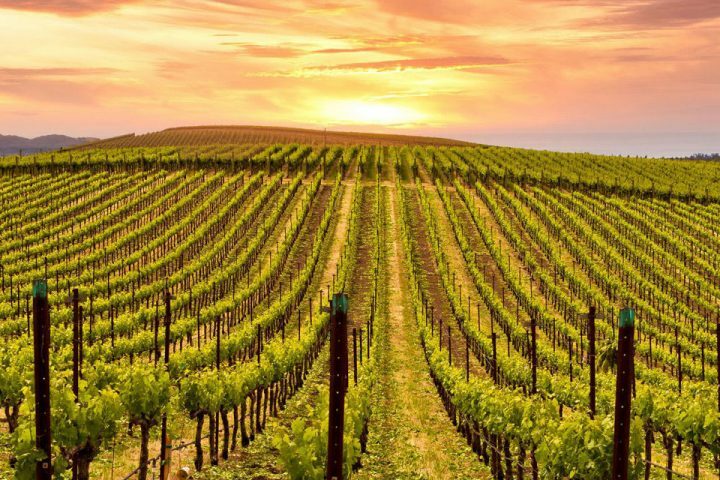 Napa Valley has plenty of room for wineries and breweries alike, so bring your adventurous spirit along for what’s sure to be memorable times in Northern California wine and beer country. To your health — cheers!